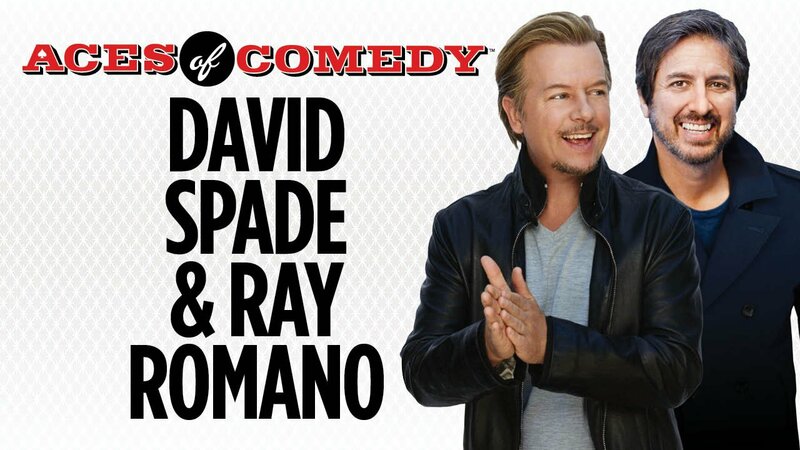 The unlikely pairing of two of modern comedy’s most hilarious men, David Spade and Ray Romano, makes for one hilarious night of fun. Spade, as you may recall, got his start on Saturday Night Live with some seriously funny sketch comedy work that highlighted his unruly sarcasm. No one does self-deprecation better than him. On the other hand, Ray Romano, the beloved head-of-household from the popular show “Everybody Loves Raymond” is known far and wide for his regular-guy sense of humor that has broad appeal. They’ve come together on stage and the laughs couldn’t be more in sync. These two funnymen will pair up for a raucous night of laugh-out loud comedy as part of The Aces of Comedy Series. The line-up includes industry veteran comedians along with up-and-coming nationally touring stand-up comics, all year long at The Mirage Hotel located on the Las Vegas Strip.